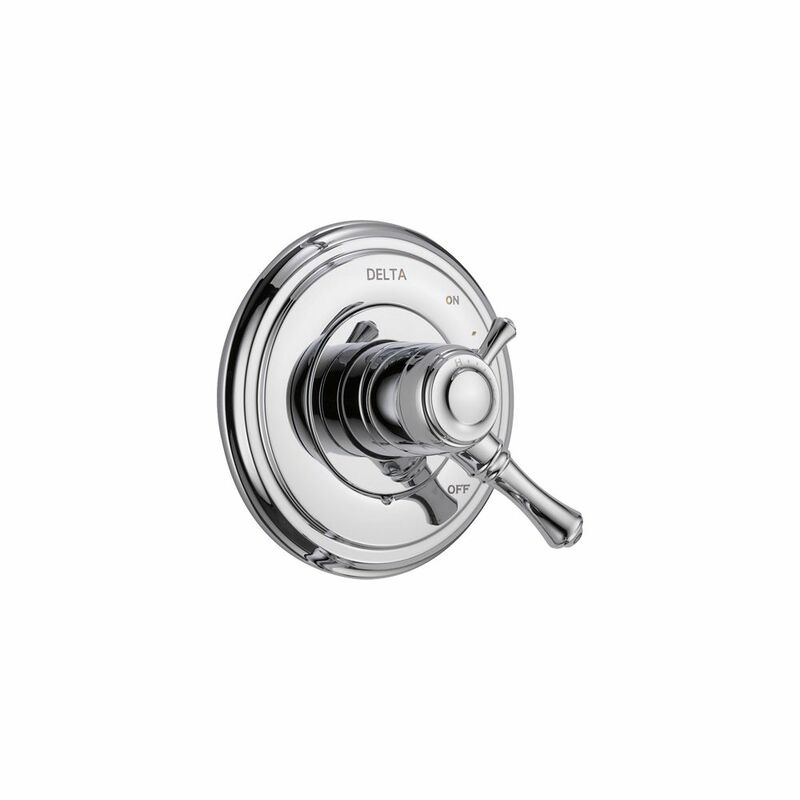 Cassidy Monitor 17 Series Valve Trim, Chrome Delta<sup></sup>'s separate rough and trim program allows you to switch your trim without the hassle of changing your rough-in as well. Another great benefit is the ability to have your plumber install the rough-in before you've decided on the trim you want. By installing the rough-in first, you can later decide what type of trim will go perfectly in your bath. Cassidy Monitor 17 Series Valve Trim, Chrome is rated 4.7 out of 5 by 10. Rated 5 out of 5 by epoh from Just received my order yesterday - well in advance of... Just received my order yesterday - well in advance of projected date. It hasn’t been installed yet, so I can’t give a complete review, but I like what I see! Rated 5 out of 5 by Marilyn from My plumber installed the Delta fixture with no problems and... My plumber installed the Delta fixture with no problems and it works better than the original fixture. Rated 2 out of 5 by Tom from It looks nice...but the temperature adjustment handle interferes with the water on/off lever. Wh... It looks nice...but the temperature adjustment handle interferes with the water on/off lever. When you attempt to lower the water temperature, the mechanism starts to shut off the water. And the water temperature adjustment knob/lever is really cheap plastic. For the cost it should have been a higher quality material. Rated 5 out of 5 by Diane from Just what we wanted Excellent, we love being able to adjust the temperature of the water plus control the flow. Rated 5 out of 5 by Diane from We like that we can adjust the temperature of the... We like that we can adjust the temperature of the water and the flow of the water. We would definitely purchase it again. Rated 5 out of 5 by Anonymous from We love this. Much better than a single handle for controlling water volume and temperature. Ver... We love this. Much better than a single handle for controlling water volume and temperature. Very attractive, too. I found that the stainless finish matches the brushed nickel in the rest of my bathroom better than the polished nickel does. Rated 5 out of 5 by alee from Great value and features Nice, solid and easy to use. Love that we can control both the temperature and water pressure.